Windows 7 has this cool feature called the “GodMode” that allows you to perform many maintenance tasks such as defragging the hard drive, looking at the windows event logs, folder options, etc. 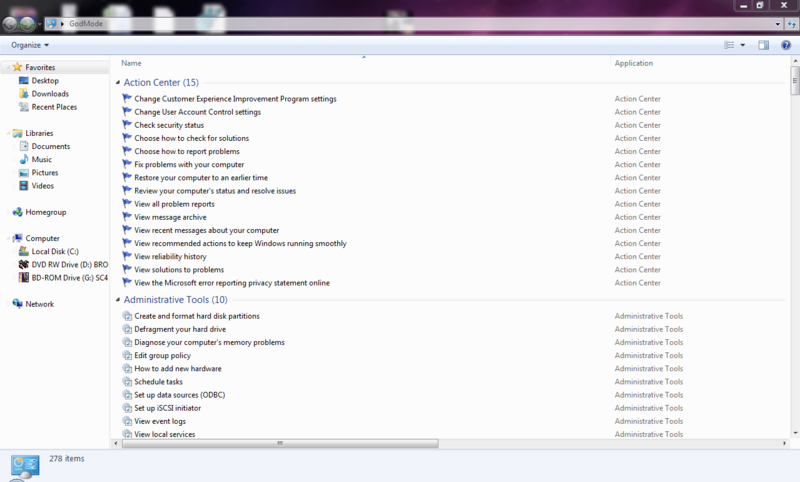 From what I can tell, you can change most if not all of the Windows settings from this one place. You can even add hardware with it. Scroll down to see how to do it. I have no idea how people found out about this, but we can still enjoy it. Now you can open it up and see what kind of stuff you can do on it! Windows 7 GodMode .Thanks for nice post.I added to my twitter.